On a scale of 1 – 10 how much do we love it when Anthropologie slashes prices and throws a crazy good discount on top of the sale prices? Like a 15 right?! I put this outfit together when I was in Utah for Christmas break, with this gold dot skirt that I actually grabbed when I was home for Thanksgiving. It's the perfect length, so flattering, and the gold dots give this skirt such a fun texture! And guess what – it's now ON SALE. Right now with Anthropologie's sale items you can get an extra 40% off sale with code XTRA40 at checkout! 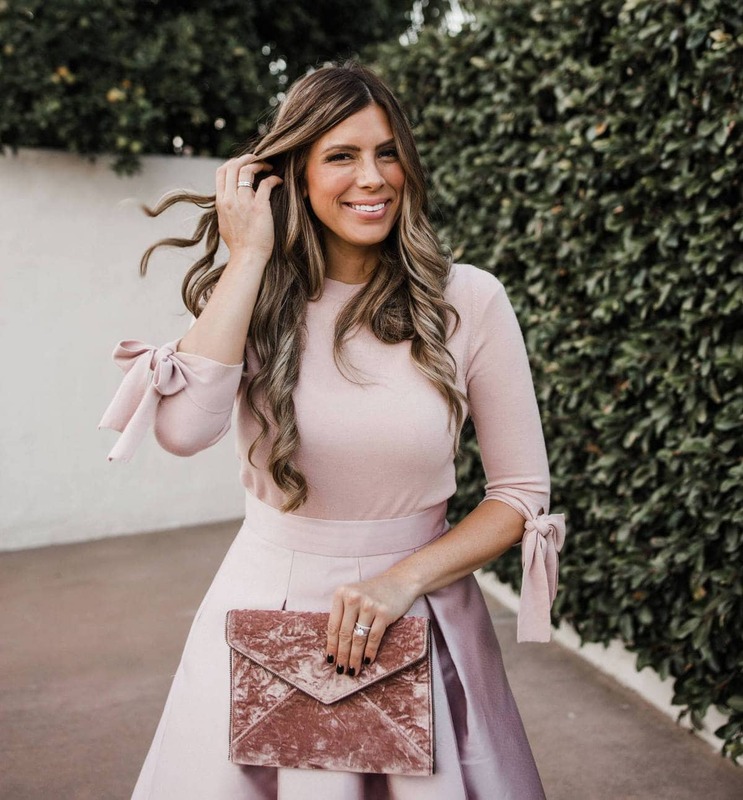 That makes this skirt, that I originally paid $188 for at Thanksgiving, that's now on sale for $129.95, a total of $77.97 with code XTRA40 at checkout. THAT is a sweet deal. 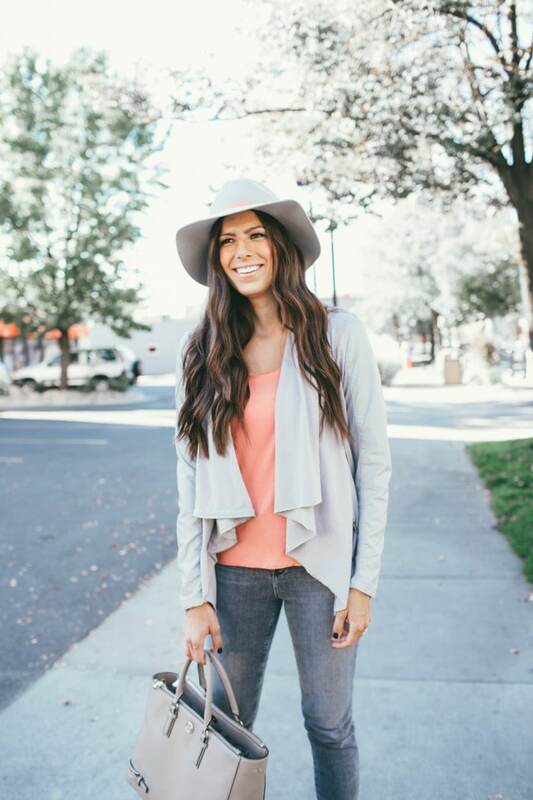 Of all the many, many sale items at anthro right now that you'll get an extra 40% off, my favorite is this peach tee that I wore in this outfit! It has 5 perfect 5-star reviews for a reason! SO soft, pretty and flattering. And GET THIS – it was originally almost $50, but with the code XTRA40 at checkout my peach tee comes down to $17.97. BUY THIS NOW!!! Before it sells out! Lastly, I've gotta be SURE you guys know about the hidden bedding and bath sale at anthropologie right now – 25% off all full priced bed and bath items, no code necessary! This isn't advertised on their homepage, it's hidden here but it definitely works! We have this bedding and LOVE IT!!! Honestly it's both mine AND my husband's favorite bedding we've ever owned. Super soft and cozy and so pretty. It doesn't go on sale often so now's the time to get it if you've been wanting it! P.S. 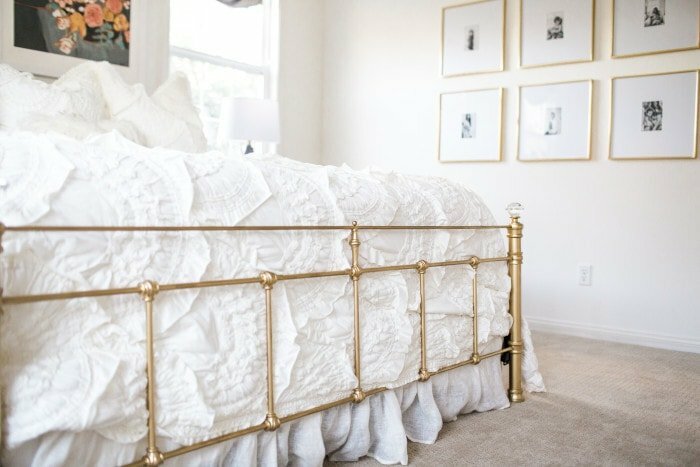 consider this an official sneak peek of my master bedroom reveal, hitting the blog next week! Just curious what size skirt you ordered in the gold dot skirt?! SALE ALERT: pink hunter boots + the v-neck sweater i bought twice!